Along with my perfume and scarf collection, I’ve acquired quite the heap of highlighters in an attempt to achieve that ever elusive “lit from within” look. What I’ve found so far in my valiant effort to find said effect is either a nice glowy enhancement at best, or too much sparkle or even glitter at worst. I’ve settled for the glow and have been pretty happy leaving it at that. 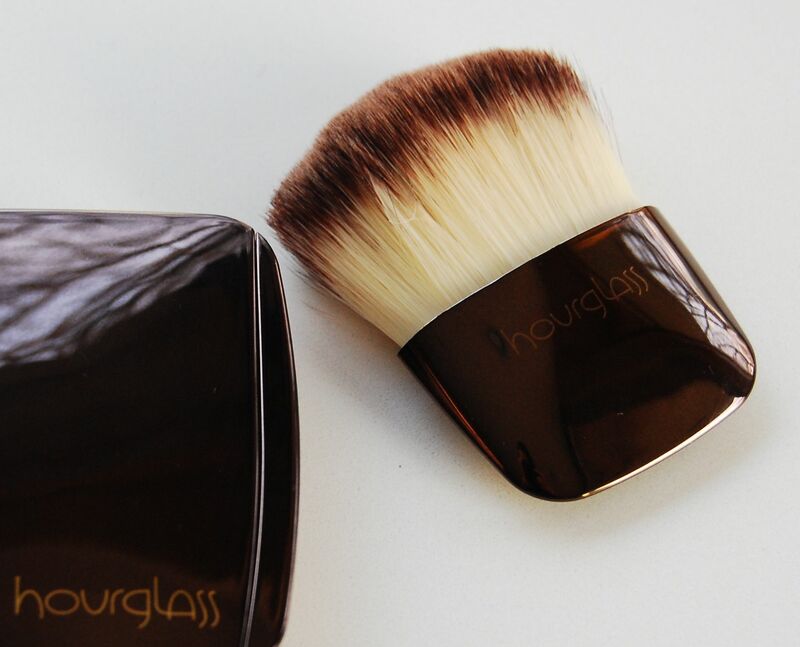 It’s time to make a little more room in my highlighter drawer because Hourglass has muscled its way in with something new. Many of you beauty blog followers are probably already aware of this latest offering, the Ambient Powder line. It consists of six finishing powders that impart a skin-perfecting “light” and I opted for Dim Light, a neutral beige per the website. As you can see from the photos, the powder reads slightly pink in the pan, but once applied it truly is neutral, at least on my light to medium olive skin (NC30). Cutting to the chase regarding sparkles, there are none to be seen in natural light, nor under your typical bathroom or other indoor lighting. The only circumstance where I could find the tiniest trace of sparkle was under the direct and intense light of the heat lamp in the bathroom with my hand mirror. Not your normal situation. So hooray, it passed! I’ve only applied Dim Light with the Ambient Powder Brush and I am loving this as well. 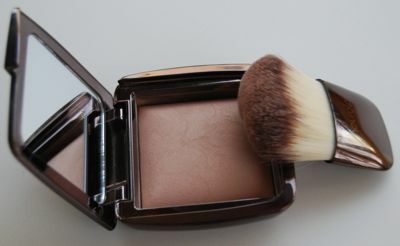 Its shape is perfect for applying the powder along the cheekbone, but might not be ideal for applying over your entire face if you truly want to use this as a finishing powder. 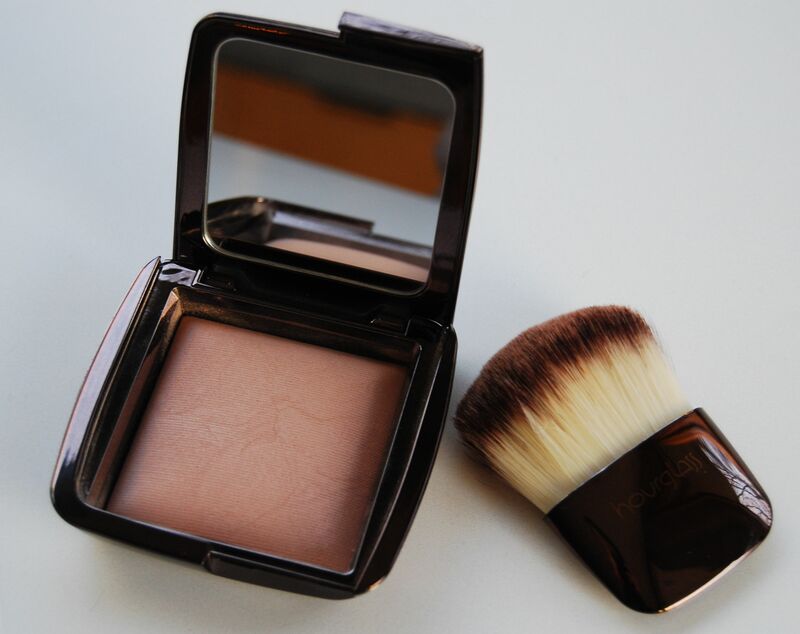 Because of the powder’s pinkish tone, I feel more comfortable using this on my cheekbones and I do adore the effect that the powder and the brush create. 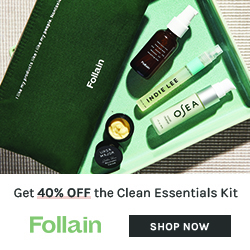 I highly recommend them both, with the caveat that while there are no parabens, phthalates or fragrance in Hourglass cosmetics, this is not an all natural product. 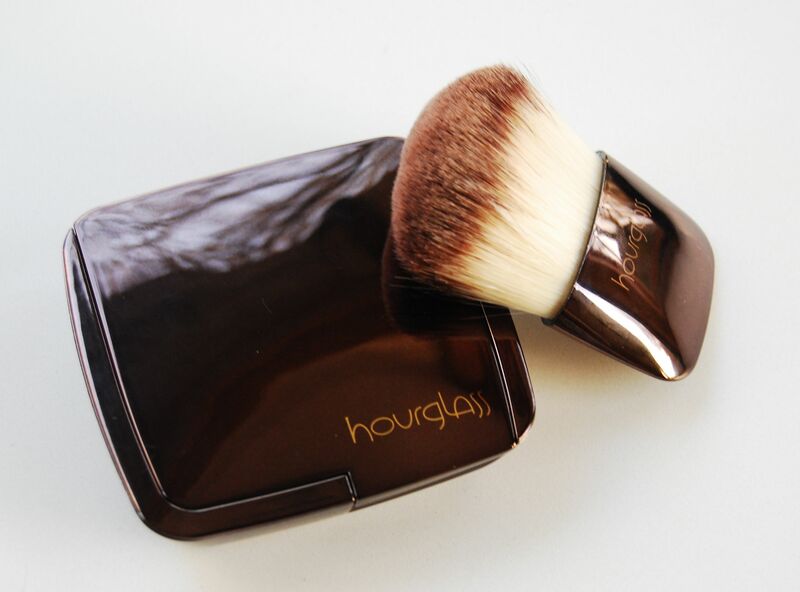 Hourglass is available at Hourglass.com, Sephora.com and Barney’s, $45 for the powder and $35 for the brush. 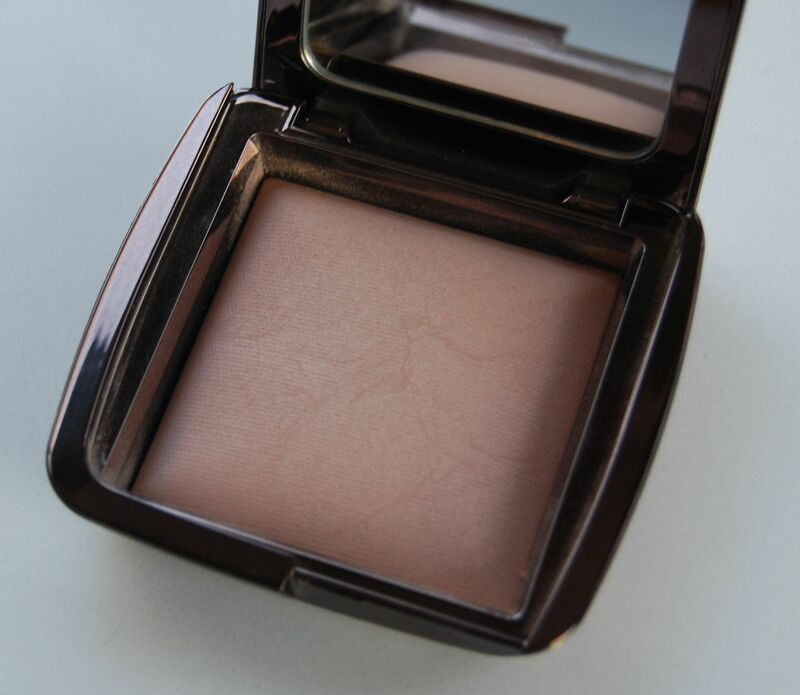 Check out The Non Blonde for a review of Hourglass Ambient Powder in Radiant Light. Disclosure: Samples were sent to me for consideration by Hourglass PR. The opinions in this review are my own. I was not financially compensated for this review or any other. Love this product, and the brush. Hourglass does it right! Having dry skin makes it difficult to find a finishing powder that doesn’t make me look dull or “cakey”. I agree with you about “softer”, I got that too using this product. 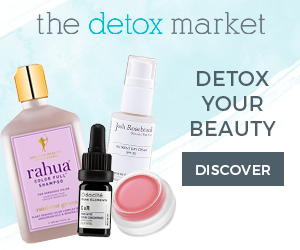 It really is a complexion enhancer. 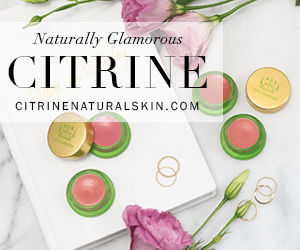 I love this powder, and am really curious to see how it holds up in the summer!